TRIP SECTION - CADET MEDIA GROUP’S D.C. PHOTO WALK over the weekend, the Cadet Media Group executed their inaugural trip section with a journey to Washington, D.C. for a photo walk. We were proud and honored that they chose Washington, D.C. and that we, along with some other old grads, got to play a part in the first effort and look forward to playing a larger role in the near future. COLE CASANOVA was selected as an All-American with his 14.700 vault at the Individual Nationals Competition crowing him National Champ. and has helped lead the men’s Gymnastics team to its first Nationals Team bid in 5 years. Erik Del Cid placed 6th in the vault also garnering All-American honors. SIMONE ASKEW the former 1st Captain gave a TEDTalk! She kicked off her talk with a very strong proclamation, check it out the full talk here. CARLAN IVEY - Congratulations to firstie Carlan Ivey on becoming West Point’s first ever 4-time National Boxing Champion. Check out our Facebook post and Instagram post to see a bunch of the photos we’ve taken of him over the years. THE GREATEST ATHLETIC DIRECTOR THAT NEVER WAS well, @drunkoldgrad’s April fools day prank about Caslen couldn’t keep him from being honored by the Knights Out Forum LTG(R) Caslen continues to inspire. G-3 GOPHER LEGACY PROJECT this type of initiative is right up our alley. Help them get the word out to all former G-3 Gophers. Help build the legacy. USMA LIBRARY + AUTHORS check out this event put on by the library I love the USMA library (circa 2001), just need to get more familiar with the new one so I can feel the same way. MAIL DAY VOL III will hit subscribers/collaborators mailboxes this week. If you have not yet subscribed to receive CADET every six months, DO IT NOW. VOL III is, simply put, packed. You could say it is overflowing because our goal is to produce a 100 page magazine. Well, VOL III is 112 pages because we had too much to share. 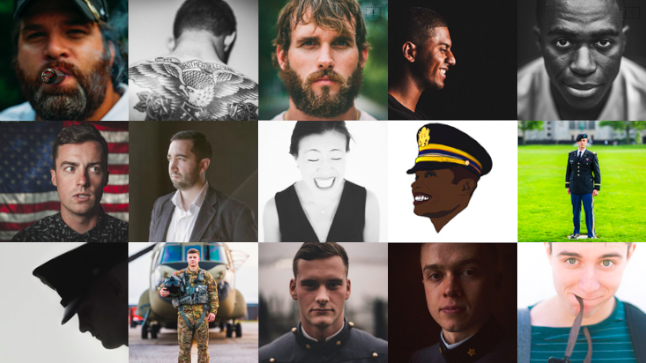 From all corners of the country we brought in submissions and stories from the West Point community that are sure to inform and delight, to connect and to inspire. SAME COOKE a post by WKDT sent me on a scavenger hunt with a Same Cooke treasure at the other end. They mentioned DJs and I got the lyric “Hey…Mr. DJ…” stuck in my head. 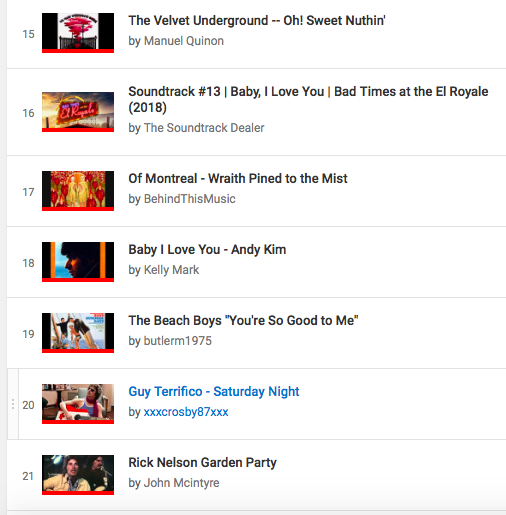 My brain puzzle was solved as my search landed on Sam Cooke’s Having a Party and I had a new song to add to my collection of 2019 songs. This all got me thinking…is there a written history of the WKDT? AOG MAGAZINE spring, summer, autumn and winter…which each new season we receive a copy of the new issue of West Point Magazine from our friends at AOG. We obviously love magazines and of course, we love West Point…so this publication checks all our pre-requisites. With AOG celebrating 150 years in 2019 its even more enticing to see what the staff of the magazine brings to our doorstep this this spring. Check out the online version RIGHT HERE if you can’t wait for yours to arrive in the mail. ASTROANNIMAL its a pretty big deal when an old grad is portrayed on SNL. THE ARMY-NAVY INTRO is up for a Sports Emmy. Last December we put together a couple of retrospectives on some design elements of Army-Navy to include one on UNIFORMS, PROGRAM COVERS, THE PRISONER EXCHANGE and what we thought was a fun, engaging and worthwhile ODE TO JOY. It was in that wrap-up that we waxed poetic about the beauty of these recent traditions like the CBS intro. Its great to see it receive the recognition it deserves. BEYOND THE PONT RELEASED last Tuesday was release day for Claire Gibson’s debut novel Beyond the Point. There is so much momentum behind this book and we are excited to dig into the novel. The book is a great gift idea for anyone in your West Point circle. ORDER YOUR COPY NOW and support this first time author. DANNY WILD is the definition of dedication. Check out his recent post that documents all his photos on display around West Point. Thank you, Danny, for making Army athletics look so good. WEST POINT ENTREPRENEURS There’s a new Facebook Group for West Point Entrepreneurs. We are excited to help promote these hard working creators. Our first new introduction was to Eric Bravo (USMA 2001)’s Brass Bullet Coffee. DAILY we do all the social media stuff - Facebook and Twitter are where we curate the best of the web, Instagram is our vision and voice, Pinterest is where you can see our inspirations. We do it day-in-day-out. Creativity is not a skill, its a way of being. WEEKLY you’re reading our weekly effort, this “From the Editor’s Desk” column is our weekly download of what’s captured our attention as we work our way towards VOL IV and beyond. MONTHLY have you joined the 2500+ people who receive our monthly newsletter? if not, click here to get a monthly update from us, its a good time. QUARTERLY so, just about every 3-4 months we are producing new products - t-shirts, framed prints, pennants, stickers. BI-ANNUALLY every 6 months we publish a volume of CADET. 100+ pages of stories from the West Point community. Thanks for reading. If you like this and want to support US, forward it to a frienD.